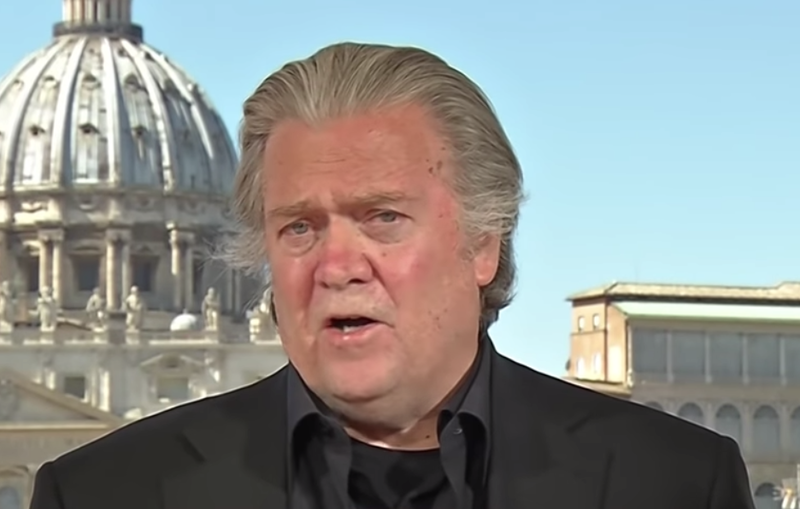 “This is deeper than trade,” says Steve Bannon, former White House Chief Strategist. “It’s a combination of One Belt One Road, which is this infrastructure project to unite the Eurasian landmass. It’s Made in China 2025, which is the convergence of advanced chip design, artificial intelligence, and robotics, where they will take over advanced manufacturing. Then it’s Huawei and the 5G rollout. The convergence of all three of those are trying to make China an economic hegemon for the 21st century. I’m not so sure how close we are (in a trade deal with China). I mean CNBC’s interview with Larry Kudlow where Larry Kudlow said last week that Lighthizer had to read the riot act to some of the Chinese about some of the red lines that had come back on the turn on the documents. You’ve got the hawks in China that really hunkered down and said we don’t know if we need to deal with the Americans. Remember this is deeper than trade. It’s a combination of One Belt One Road, which is this infrastructure project to unite the Eurasian landmass. It’s Made in China 2025, which is the convergence of advanced chip design, artificial intelligence, and robotics, where they will take over advanced manufacturing. Then it’s Huawei and the 5G rollout. The convergence of all three of those are trying to make China an economic hegemon for the 21st century and essentially use their totalitarian mercantilist system to replace free-market capitalism of the industrial democracies. That’s why I was in Japan invited by the Liberal Democratic Party to go around Japan and give these lectures I give on China. It’s 100% they’re saying that the United States and Europe don’t quite understand yet the economic war that the Chinese are running on the West. This is not just about trade. It’s not about soybeans. That’s why Lighthizer, the senior partner of Skadden, Arps, who is President Trump’s right-hand man on this is so important. This is about fundamental structural changes to the core of the Chinese economy to really integrate it into the industrial democracies. I think that this thing could go on for a long time. I actually happen to think before you get to a deal I think you’re enough to put the punitive tariffs up to 25 percent to bring the Chinese really to the table to have that types of changes that President Trump has really been hammering on since the day he started.